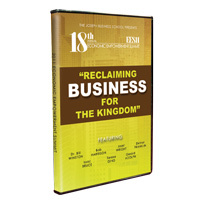 Capture all of the revelation and relive the excitement of the 2011 Economic Empowerment Summit by ordering your copy of the summit compilation today! Included are all of the keynote addresses from Dr. Bill Winston, Bob Harrison, DeVon Franklin, Gerald Adolph, Teresa Ging, Isaac Bruce and Joset Wright. Take hold of the information shared from this year's summit to boldly reclaim the world of business for the Kingdom of God.